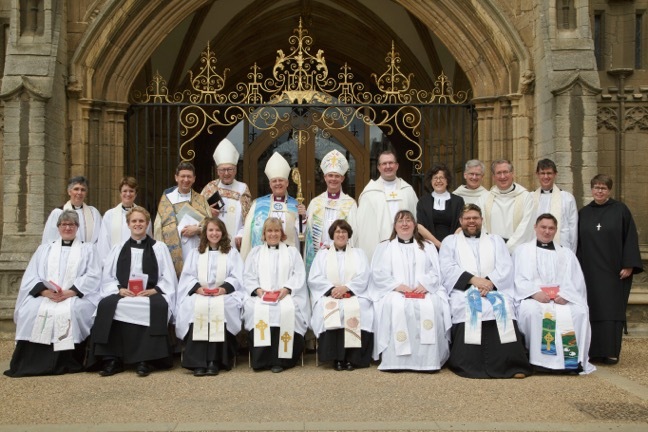 Last weekend the cathedral hosted two joyful ordination services. 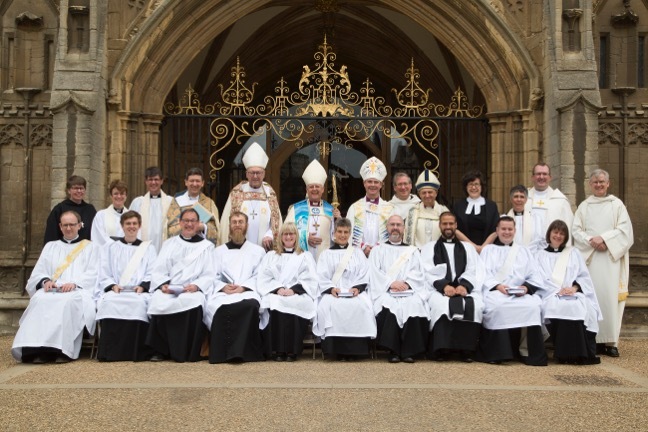 Bishop Donald ordained ten people as deacons to serve in parishes throughout the diocese and eight people as priests to continue serving in their parishes. At both services, the sermon was given by the retreat conductor, The Revd Dr Emma Ineson, Principal of Trinity College, Bristol. At the ordination on Saturday afternoon she spoke of the role of priests being shepherds, following in the steps of Jesus. On Sunday she spoke of the servant nature of the role of a deacon. The cathedral was full of family, friends and supporters who joined in the hymns accompanied by both the organ and a small praise band from the Kings School. As always, the cathedral choir sang beautifully and their music greatly enhanced the worship.